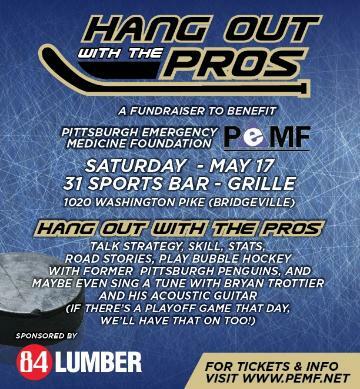 Hang out with former Pittsburgh Penguins to benefit the Pittsburgh Emergency Medicine Foundation. Talk strategy, skill, stats and listen to some road stories. Challenge alumni to bubble hockey or corn hole out on the deck. Bryan Trottier, Ken Wregget and Pittsburgh's own Dave Hanson are guaranteed to be there.